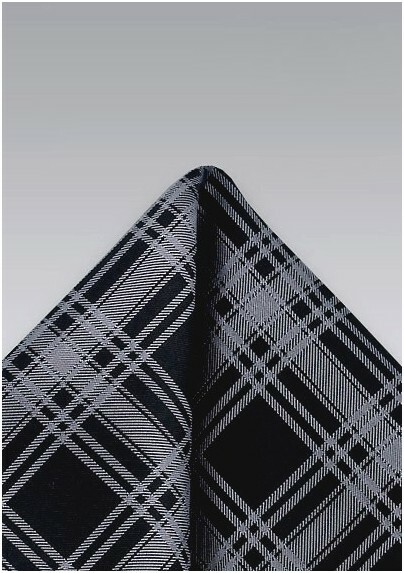 Coordinate a dapper, covetable aesthetic with this premium designed, plaid patterned handkerchief in a sleek colorway of blacks and greys. 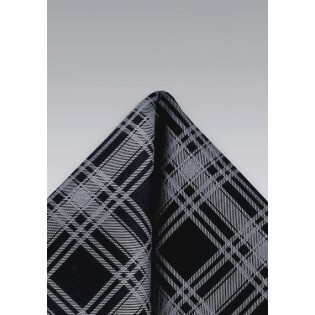 The simple handkerchief adds a heavy of style and dimension to anything it is paired with. Create a minimalistic and noteworthy retro look by folding this handkerchief into a grey tweed blazer and teaming that with a white dress shirt and a black skinny tie. Made from pure silk.